97 acre Gentleman's Farm - stocked pond - abundant deer and turkey habitat - 2000 ft. of river bottom - 4bed / 4 bath custom home - ample storage - mixed woods and pasture. Fantastic Gentlemen's Farm or Family Estate. 97acres in Bumpass, Virginia in Louisa County. Land / Custom Home / Pond / Hunting/ Fishing / Horses/ Timber/ ATV Trails / Sky / Storage and outbuildings. You have it all in a nice size farm and a great price. Be at your office in Short Pump /Innsbrook in 40 mins. Nearly a mile of pave drive back to a fully custom home Built in 1992. 3577 sq. ft. on the first and second floors. 4 Beds and 4 Baths / open kitchen design / great closets and storage. Awesome screened porch on the back deck off kitchen. Low maintenance metal room. Fully finished basement - ready for home schooling, home business office or workout room. A massive 3 car garage is a attached. Perfect for family and on site business or room for all the grandchildren. You must come and see this home to appreciate it. This farm is a bow hunter's dream. Come and be your own Gamekeeper. 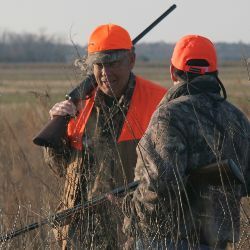 You can manage game for deer, turkey and fishing. There is a 5 acre fully stock pond and dock. The lower area of the pond will be sure to hold some woodducks early in the year. There is a small creek on the farm flowing to the Little River. On the south end of the farm the boundary is approx. 2000Ft of river bottom on the Little River. This is a monster buck travel route for sure. The Farm contains 5 fields on the FSA maps totally over 22 acres. You are only 15 minutes to Lake Anna - you can be skiing on the lake in no time. Lake Anna is one of the largest lakes in the Commonwealth with 225 miles of shoreline. Approximately 25 miles to Ashland. Great public golf close buy. To the west you are only about 35 miles to Albemarle wine country. Easy access to great healthcare and other service at both UVA and VCU medical centers. Fun - Web Link listed above For more information on this and other Residential Hunting Land with Custom Home For Sale in Louisa County VA, contact Charlie Britt at , by email at Email listed above or visit our website at mopva/. com.